We broke out the big board for a marathon game. 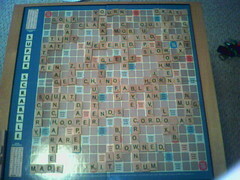 R. wins 622-578. No bingos this time. No picture of the SCRABBLE board tonight, but I did get another bingo: "quahogs" for 87 points. :) We were the only ones at the coffeeshop, although there were a few to-go orders. 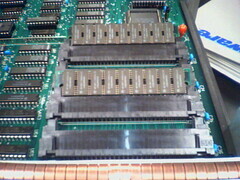 A wins 321-253. 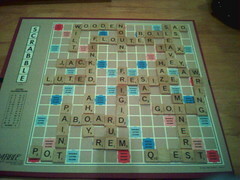 Words of the night included 'flouter' and 'finked'. Only one bingo tonight: 'flouter'. 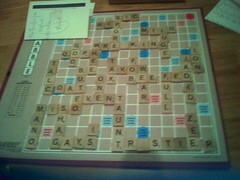 I got two bingos on this board. 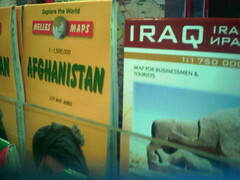 I spotted these maps at the bookstore this weekend after we had dinner at Puran. Someone is awfully optimistic about business and tourism in Iraq. 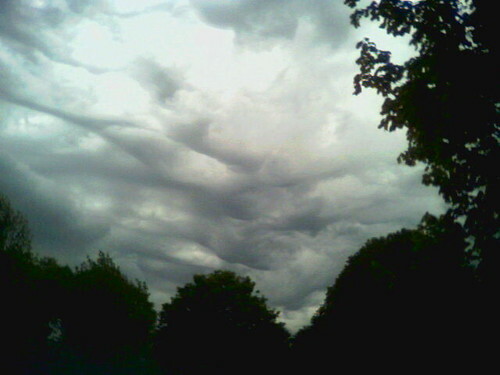 The sky over campus today had some strange cloud formations. I hope the camera phone caught it.